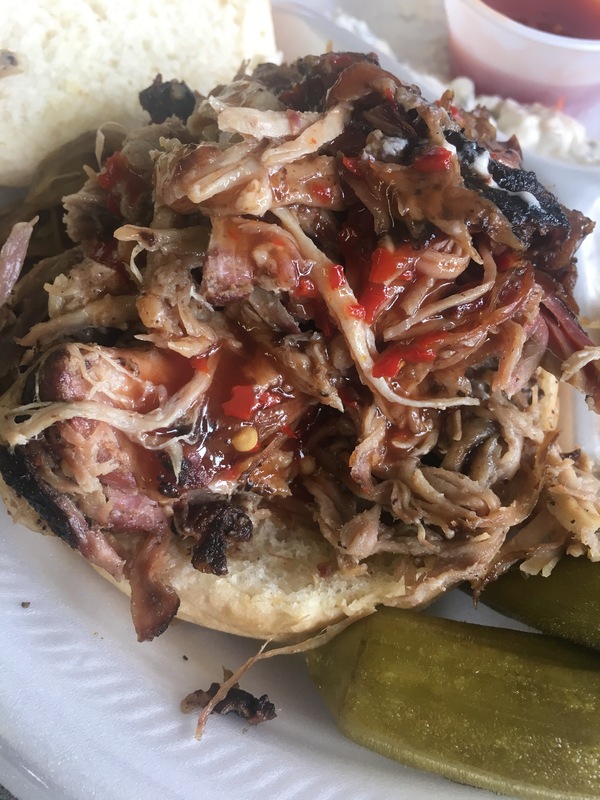 If you are a BBQ lover like me, you may have realized that slow cooked and smokey goodness is not easy to find around here. 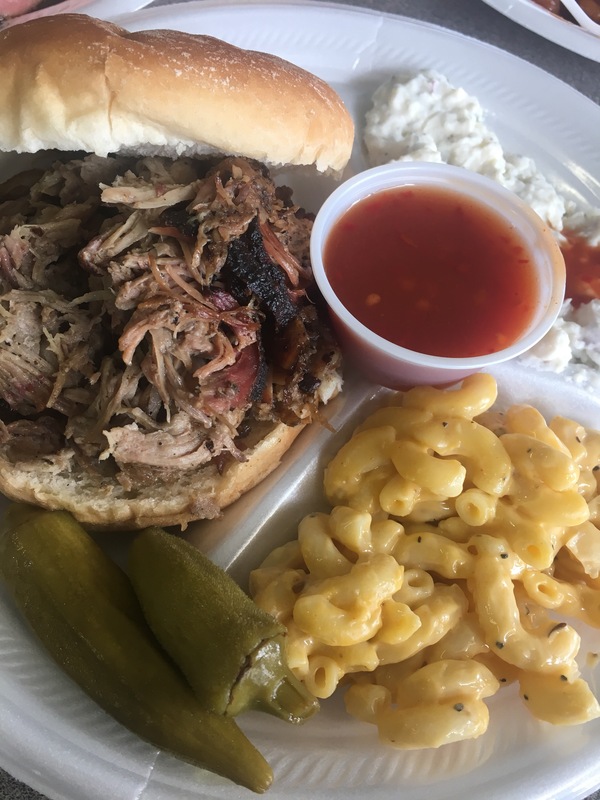 I had the pleasure of reviewing Little Creek Bar-B-Cue a couple months back and fell in love. Everything I was craving was right there before my eyes. Mac & cheese, cornbread, green beans, fried okra, baked beans, collard greens and corn. It bought tears to my eyes to see slabs of pork and ribs, whole roasted chickens and smoked beef. Mouth watering, isn’t it? Just looking at the picture has me ready to leave work and go right now. I tried the pulled pork sandwich platter with 2 sides. The pork was slow cooked in a smoker and absolutely amazing. It wasn’t dry or over seasoned and literally fell apart with every bite. Pork haters are truly missing out with dishes like this. I tried the homemade Carolina style sauce over the sweet baby rays because let’s be serious, home made is ALWAYS better. It made it even more amazing. The spicy sauce was vinegar based and had crushed red pepper flakes that gave it the right amount of heat without being unenjoyable. I chose the creamy macaroni and potato salad which were both equally delicious. For $9.59, how could you possibly go wrong? No way you can look at this picture and not drool a little. This place is so worth the visit! From Allentown it took me a short 25 minutes to get there and I would do it every day if I could.